If you have been here before you know there are two things I really enjoy…the 21 Day Fix program and the Instant Pot. When I can combine the two for an awesome meal that is also 21 Day Fix friendly I just have to share! 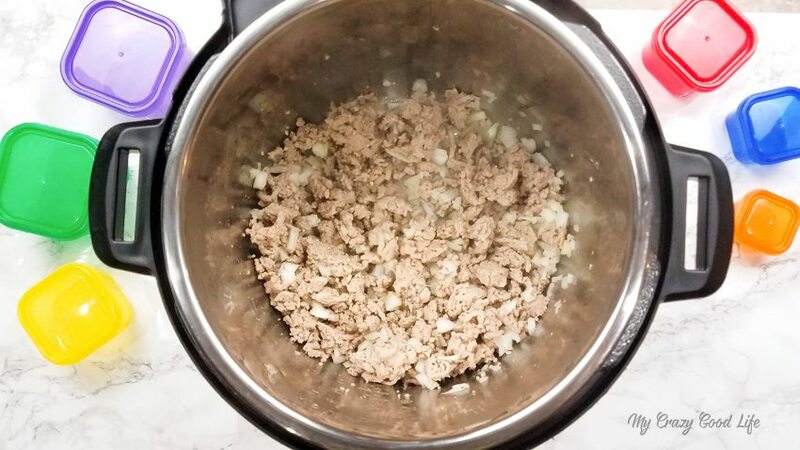 One of the reasons I love both the Instant Pot and the 21 Day Fix is because they work fast. They make the whole process of eating better and living a healthy lifestyle so much more simple. The 21 Day Fix combines portion control and targeted workouts to help me look and feel great from the inside out. Why do I need an Instant Pot? I’ve only recently learned that the Instant Pot can make my 21 Day Fix meal prep more streamlined. It is a time saver in the kitchen and it helps me provide healthy, delicious meals for my family that can be ready in less than an hour! Can I put this Spicy Sweet Potato Chili in my meal plan? I think I will definitely be including this recipe in my next 21 Day Fix meal plan. With just a few modifications 21 Day Fix sweet potato chili could be included in a 21 Day Fix vegan meal plan as well. Do you have other Instant Pot recipes I can try? If you are looking for other great ways to use your Instant Pot to make meal time quick and easy you can find all kinds of great dinner recipes, and even more 21 Day Fix Instant Pot friendly recipes right here at My Crazy Good Life! 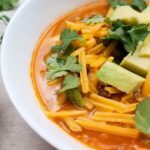 Is this a healthy chili recipe? Of course! 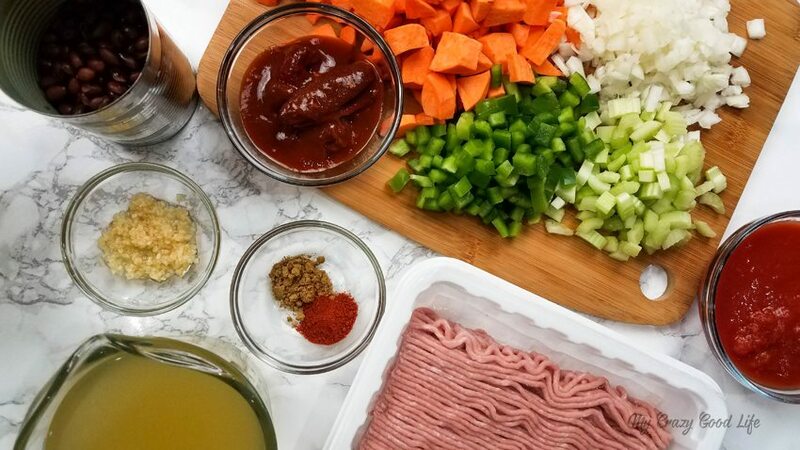 Subbing ground turkey in for the beef you would normally find in chili recipes makes this spicy sweet potato chili recipe more healthy. The sweet potatoes in this recipe also lend some great vitamins and minerals as well as a delicious taste and texture. 1) Brown ground turkey on saute function. When you are all done make sure to drain the grease. 2) Add in the garlic and onions and cook until softened. 3) Next, mix in cumin and cayenne pepper. Stir in chipotle peppers and the sauce (keep peppers out for less spice, just add sauce), black beans, crushed tomatoes, sweet potatoes, and chicken stock. Mix well until everything is combined. 4) Lock lid into place and turn pressure valve to sealing. Cook on high pressure for 10 minutes using the manual setting. Once the time is up, release pressure using the quick release method. 5) Remove the lid and switch Instant Pot to saute. Add in your bell peppers and celery. Let simmer about 5 minutes until the celery is cooked and soft. 6) Turn off Instant Pot and you are ready to serve this tasty dish! 7) Top with cheese, cilantro, and avocado. 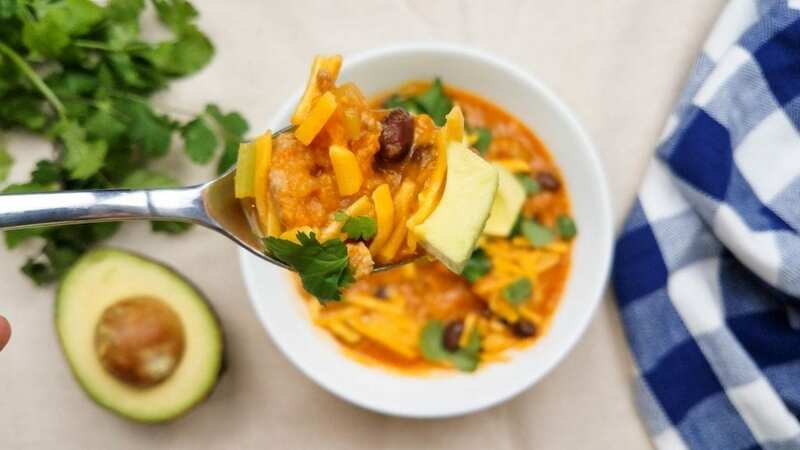 Can I have this IP Sweet Potato Chili on 21 Day Fix? Yes! This is a perfectly suitable 21 Day Fix recipe, you can find my breakdown on the recipe for container counts. Can I have this sweet potato chili on Weight Watchers? You can have just about anything on Weight Watchers. Instant Pot Sweet Potato Chili is great for Weight Watchers because it is low in points! When cooking with the Instant Pot I’m not getting the right results, any advice? The Instant Pot will function differently at higher altitudes. If you are struggling with cook times or recipes coming out properly, check out this guide. 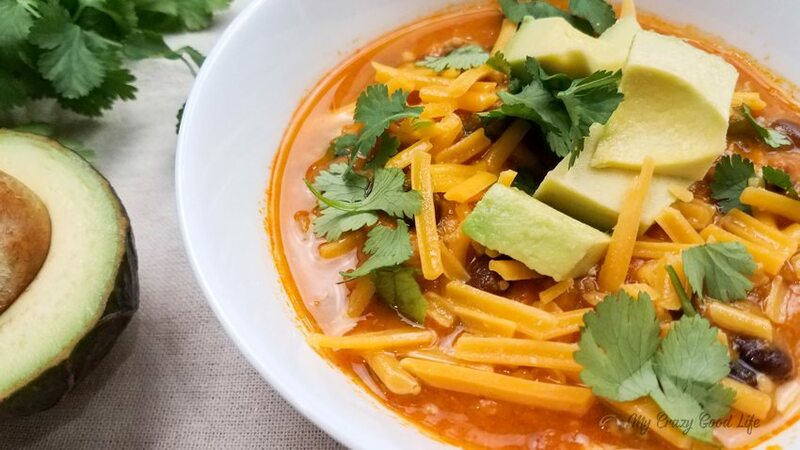 This easy and delicious Instant Pot Sweet Potato Chili is the perfect meal prep recipe! 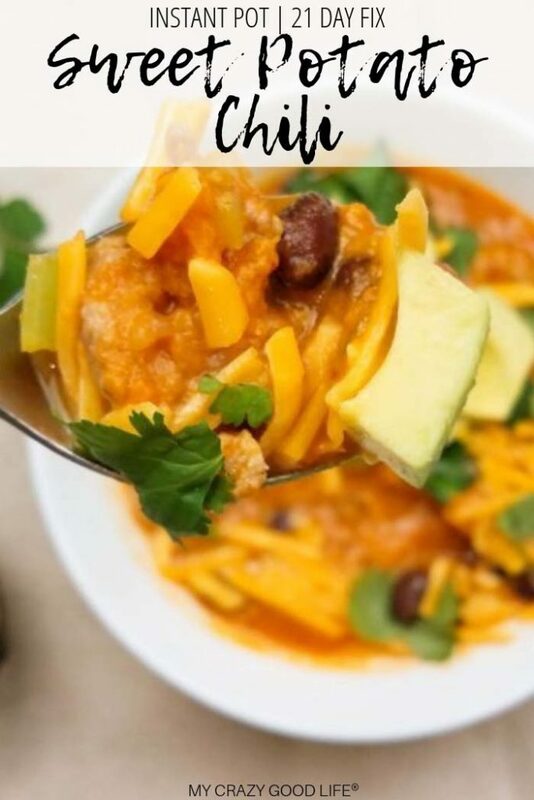 21 Day Fix Sweet Potato Chili for lunch is a great way to stay on target! It has some spice, you're going to love it! 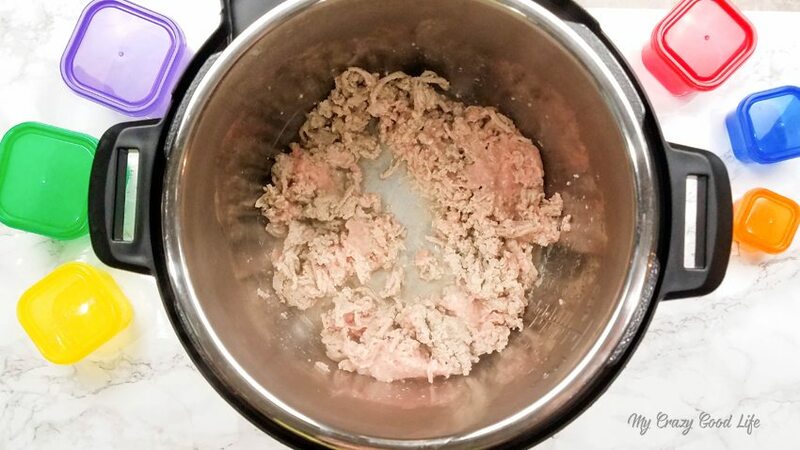 Brown ground turkey on saute function. When you are all done make sure to drain the grease. Add in the garlic and onions and cook until softened. Next, mix in cumin and cayenne pepper. Stir in chipotle peppers, black beans, crushed tomatoes, sweet potatoes, and chicken stock. Mix well until everything is combined. Lock lid into place and turn pressure valve to sealing. Cook on high pressure for 10 minutes using the manual setting. Once the time is up, release pressure using the quick release method. Remove the lid and switch Instant Pot to saute. Add in your bell peppers and celery. Let simmer about 5 minutes until the celery is cooked and soft. Turn off Instant Pot and you are ready to serve this tasty dish! Top with cheese, cilantro, and avocado. To leave out the turkey for vegetarian children, what could I substitute? I’m sorry but I don’t really know! Maybe tofu? It’s so delicious! Maybe if he cuts them small he won’t mind them in the chili? I don’t like sweet potatoes and I LOVE this! Just mush the potatoes after cooked. I also tone down the heat a lot!!! This is a great recipe! I’ve had to eliminate the cayenne pepper and take out one chipoltle pepper for my wussy taste buds, but it’s still delicious! I’ve made it countless times and enjoy freezing single-serving portions for later. It makes for an easy lunch when I pop it back in the refrigerator to thaw the day before. Thanks for posting! I’m just learning how to cook and I’m still scared of our instapot. Do you have directions for regular stove or crock pot? How much is1 serving, based on your qty’s? 2/3 cup? I don’t know off the top of my head–maybe 2/3C-1C? FYI, the video tells you to remove the chipotle peppers after pressure cooking, but the instructions don’t…and we followed the instructions the first time and needed an oral fire extinguisher. Yes, one potato :) And yes I put in sauce and peppers, unless you’d like it less spicy–then just add the sauce. First time instapoter here. Great recipie and instructions. It was a little too spicey for me so next time I’ll exclude the peppers and/or cut down on the cayenne. Will definitely make again!